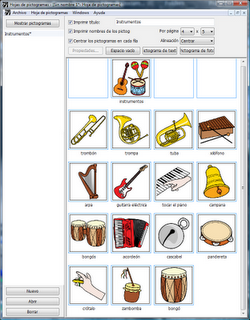 Picto Selector is an application for Windows designed to facilitate the selection and printing of pictograms. It offers more than 30.000 pictograms from Sclera.be, ARASAAC and Straight-Street.com and they are translated to Dutch, English, Spanish, Catalan, Portuguese and French. The same application also supports these languages. 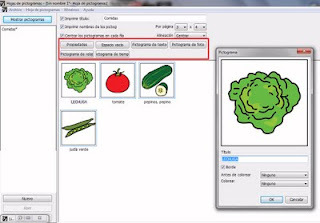 Selection and printing of pictograms in sheets in an easy a fast way. It contains ARASAAC's pictograms, Sclera, Mulberry. 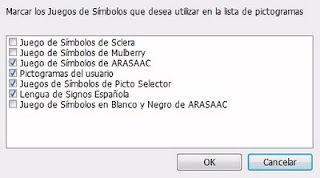 It has specific packages for the installation of ARASAAC's pictograms in Black and White and of the images in Spanish Sign Language. 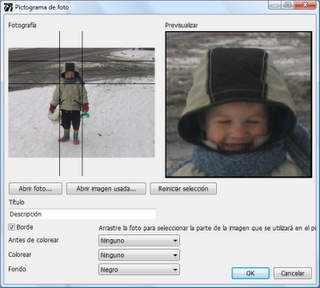 The pictograms can be automatically updated when the application starts.